Combining Cafe, Healing / therapy rooms and Angelic Gift shop, Deborah and her husband John both manifested a dream this year from start to finish. The possibility to do whatever one can put their mind to when on the right track is proof. With the help of Mediation and bringing peace back into their turmoil lives, took them on a journey of achieving what everyone of us require and that is connectivity and peace of mind. Deborah’s Passion for Cooking and with her 20 years as an Executive chef, owning her own restaurant in France, she has brought her flavours to Nenagh, Co.Tipperary. Deborah’s Foods carry her essence of passion. All foods prepared are blessed each day so only goodness is produced. 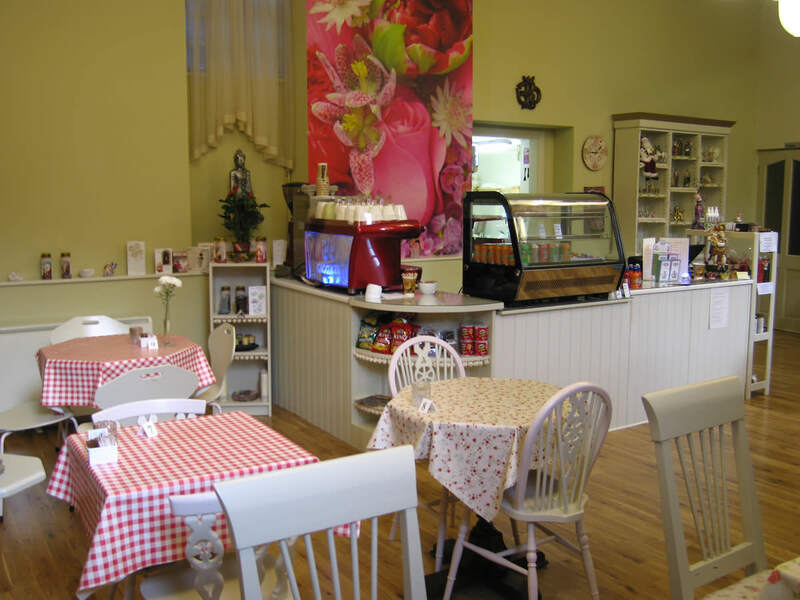 Deborah’s speciality Scones and Freshly cooked soups are the talk of the town and surrounding counties. Within the Cafe, Both John and Deborah have combined a beautiful Angelic Gift shop supplying spiritual books, Holy statues, Incense, Angels, Crystals and much more. In the healing rooms which take the shape somewhat like Hobbit houses, Treatments are carried out E.g. Massage, Reiki, Psychic readings, Hands on healing by very Experienced and renowned therapists.